Banner will be welded at this position. The perfect eyecatcher! 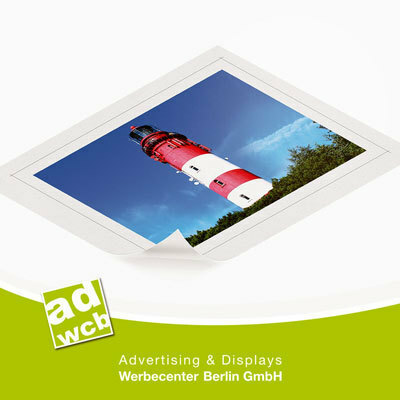 Presents your photos or pictures exclusivly on canvas. The print will be 6/C CMYK (all colors and photos) on Canvas with 350g/m². Since the fabric is B1 (fire protection classification) certificated you can use it for events and concerts for example. Just send us your printable data via mail or upload it onto our server and we'll produce your banner according to your wishes. Get your eye catcher with custom printed canvas. The textured fabric material is ideal for advertising and decoration. The material is B1 certified (fire safety class), so it is suitable for public indoor use, e.g. on events, concerts and trade shows. 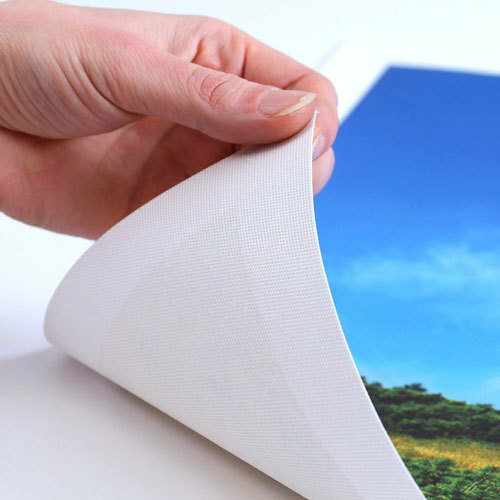 Printed canvas convinces with long durability and structured surface. We print according to your data in the size of your choice. Easy to assemble to frames (please note: frame is not included). B1 is a fire safety classification certificate and describes the fire retardancy of the material, which is mandatory for many events and trade shows. The canvas prints can be produced up to a max. printing width (shortest side) of 2.45m and length of 27m in one piece. 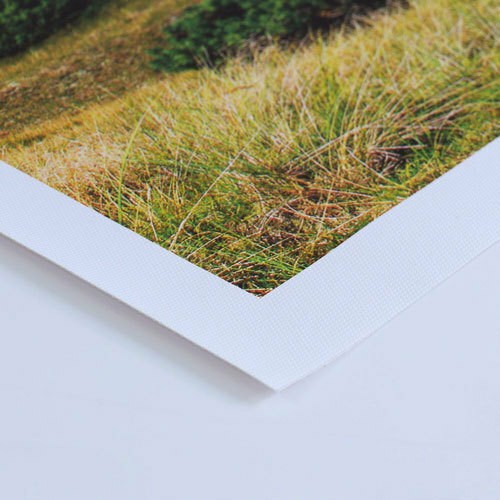 For larger formats we recommend the printing material "DekoTexx". Please note: the size of the material may change by processing and use. The permanent process of calendering and the later influence of weather and UV radiation at the place of installation may affect format and color. This may have an effect up to max. 3% dimensional change. Therefore we cannot guarantee exact sizes. If you would like to mount the canvas print on a frame (not included) please consider the additions to your print file. The cancas will be manufactured in the ordered format. Treat the canvas print as you would treat a self-painted picture. Therefore, avoid scratches, fingerprints, high sun exposure or contact with liquids and detergeants. If color accuracy is of high priority, we recommend a proof / preprint. 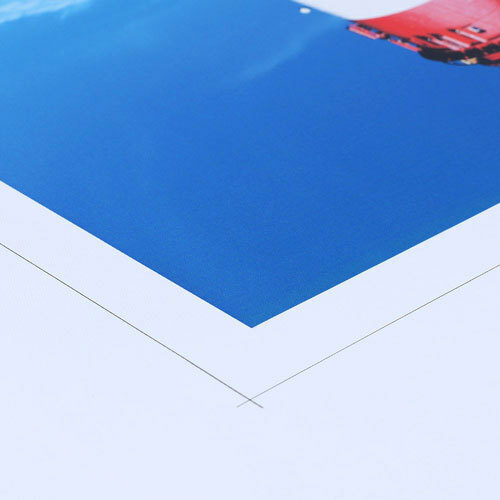 The proof will be printed on an 1:1 cutout in size DIN A3 on the original material.